La Maison de l’Europe de Tours recherche son prochain volontaire ! 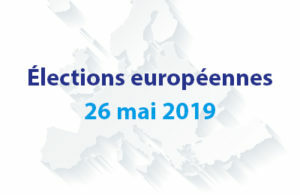 The Maison de l’Europe de Tours Centre Val de Loire is an apolitical organization created in 1987, aimed to inform the citizens about the actions of the European Union and spread the European cultures. We intervene on many levels through the organization of conferences, debates, projections and different types of events as the Day of Europe. The public can find in our offices an information and documentation centre, as well as other pedagogic tools available for rental. We are also developing a specific project to promote and facilitate the mobility through the European volunteering. A part of the project is also dedicated to young from disadvantaged area, helping them to find a volunteering. Front office activity to the general public and EVS: As our association is also a sending organization for EVS volunteers, one of your missions will be to inform young people about EVS. To help us to find new partners for our events or our projects. Creation of panels on specific themes and/or pedagogic tools. 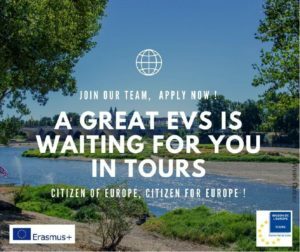 Information and promotion about mobility: The volunteer will have to visit different schools, training centres, etc… to promote the EVS and speak about its experience. The accommodation will be provided for the volunteer, a single room in a private house or in a shared apartment. Volunteers receive pocket money (183€ p/ month), a food allowance (180€ p/ month), and all costs associated with the mission (public transportation, bike…) will be covered. Travel costs will be covered to a maximum of 275 euro for the round-trip. The tickets can be bought by the sending organization or by the volunteer, who will send the reimbursement after presenting the original tickets upon arrival. All volunteers will receive introduction and orientation upon arrival. This includes details about the Maison de l’Europe, their project, the community, the region and culture. They will also learn about different beneficiaries of project activities, how to work with them and volunteering standards, rights and responsibilities. We will support the volunteers in the learning of French Language and the volunteers will participate in trainings promoted by National Agency. An active, curious and open-minded volunteer, interested in France and French language (a basic French knowledge would be considered a plus). Be motivated to work with volunteers, about the European Union and Europe in general.